Air plants are not only fun to grow, they are also fun to display. So many household items can be fashioned into containers for these sweet little plants that don’t need soil to grow. These air plant holders are cute. compact and perfect to display your tillandsia collection. These delightful little plants are very easy care. Their watering needs are minimal but these tips for growing air plants will help you get the most out of them. 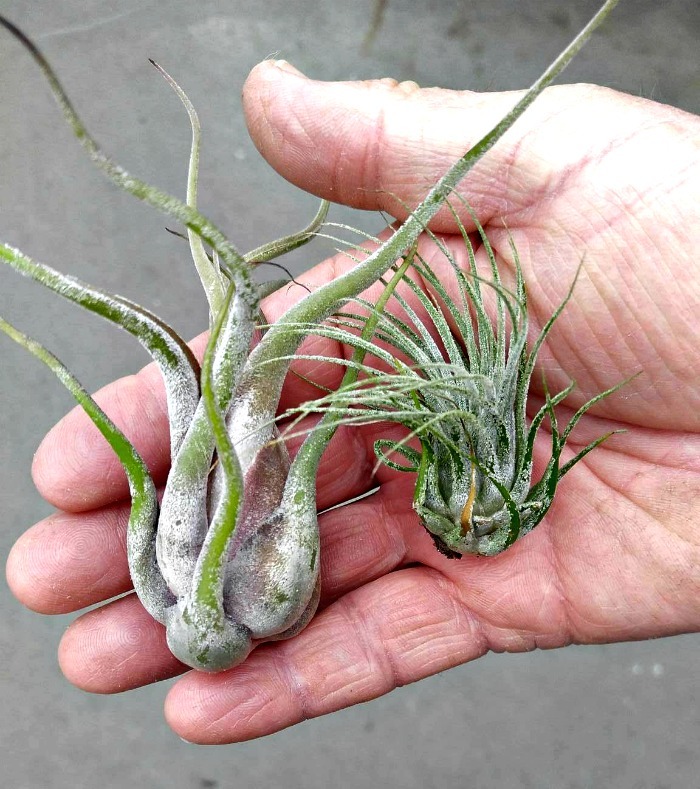 Have you tried growing air plants? These succulent plants from the epiphyte family are perfect for those who have a “brown thumb.” The plants are easy to grow and actually thrive on a bit of neglect. 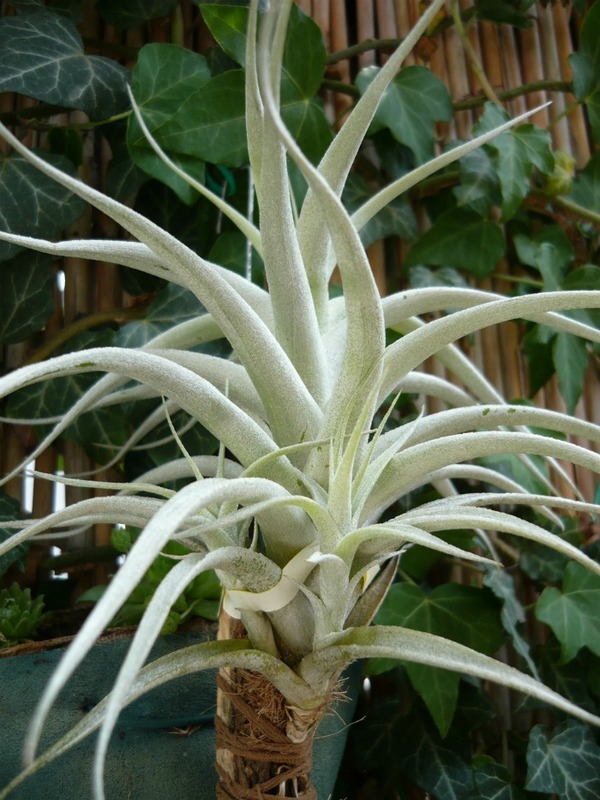 Most air plants are quite small and have very little in the way of root systems. In nature they attach themselves to host plants and grow easily. In the home, we like to display them in unusual ways. Air plants can be grown in normal pots, but their small size and little need for moisture also make them candidate for all sorts of other planter ideas. Why not try one of these interesting air plant holders for something a bit different. 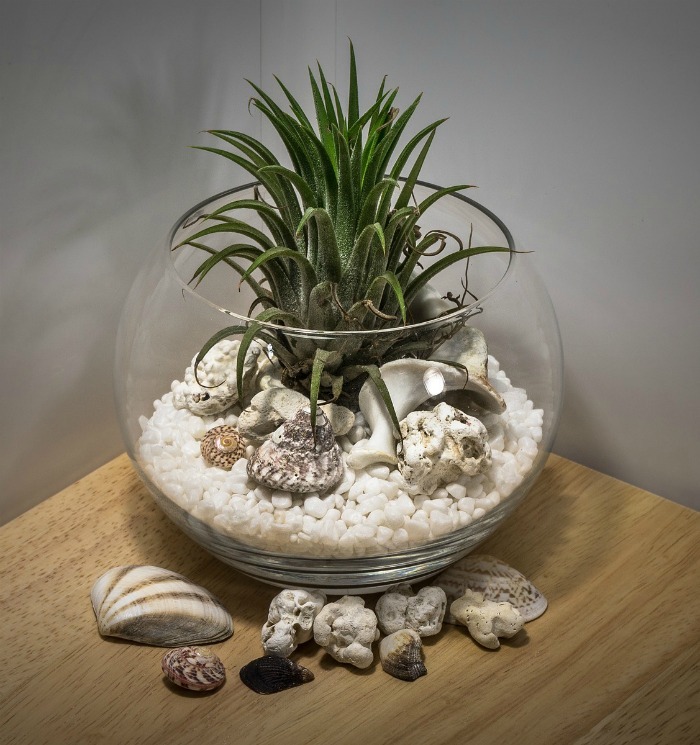 A common household fish bowl make the perfect home for this larger air plant. 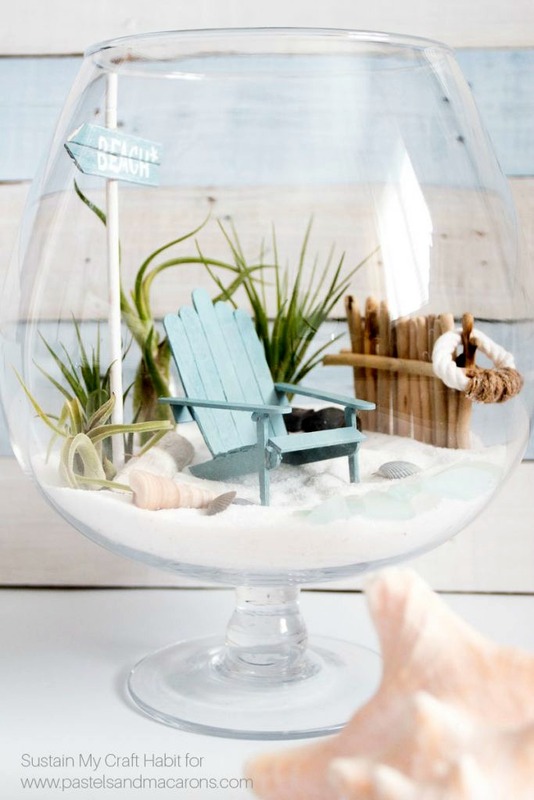 Add some white gravel and a collection of sea shells for a unique and beachy scene. 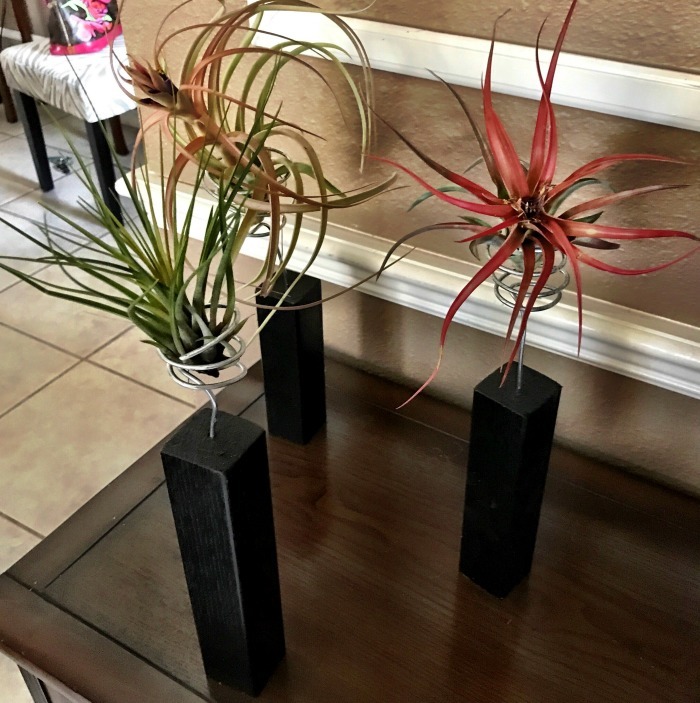 One of the readers of my blog sent me a photo showing a really interesting display for her air plants. These neat planters are made from blocks of wood with a curved wire at the top where the air plants sit. So creative. Thanks for sharing Lilibeth! I just love the way these look! Air plants love to sit on trees in nature. To mimic this look, wrap some sphagnum moss around a piece of wood and tie the plant to it. It will look natural and woodsy when suspended this way. Air plants are well suited to any terrarium styled display. Terrariums hold in the moisture and give the plant pretty much the perfect environment. This cute tear drop shaped glass holder is wrapped in copper wire and adorned with a heart. It makes the tiny tillandisia look right at home sitting on a bed of green moss. 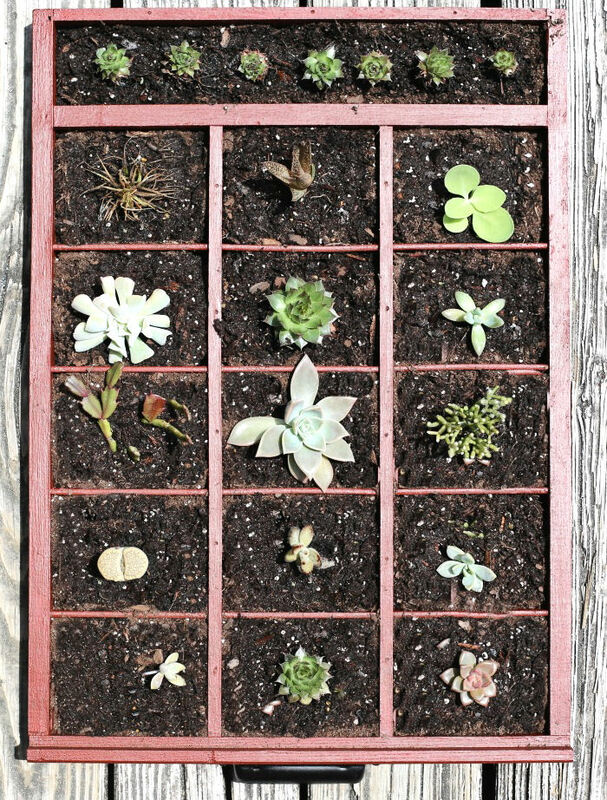 This easy DIY project used an old wooden drawer with compartments and turned it into a stunning succulent container for an air plant and many other succulents. 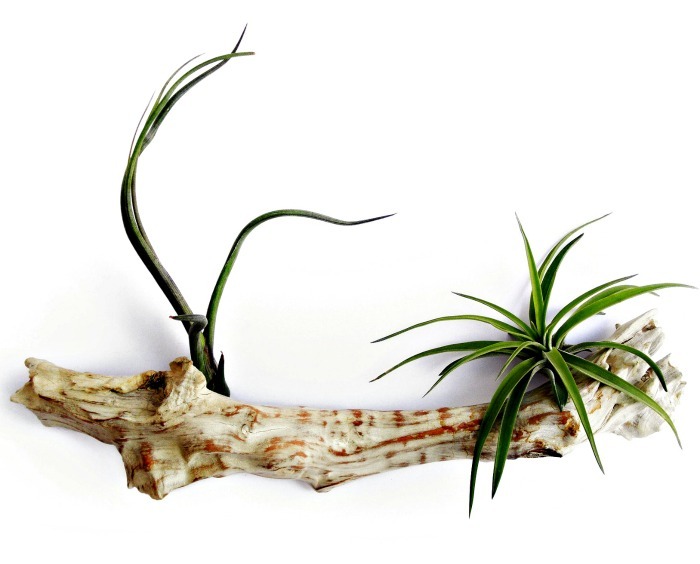 Since Air plants grow on host trees in nature, it makes a lot of sense to use log holders to display them. This pretty log shape displays two plants, one on each end for a perfectly symmetrical holder. Because of their small size, air plants are idea candidates for shallow bowl planting. 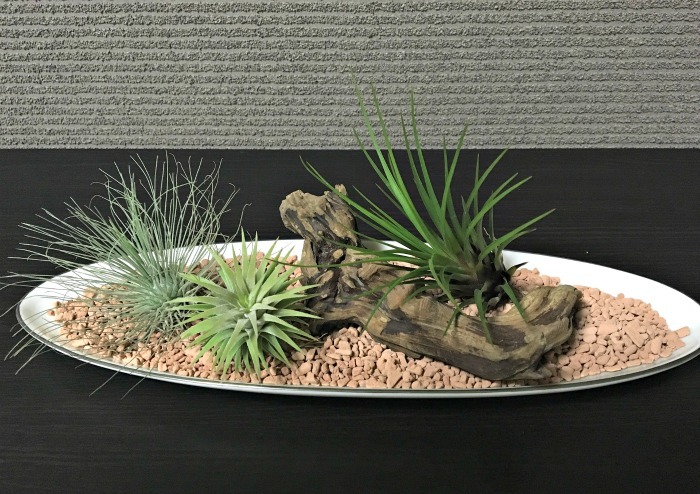 This pretty air plant bowl container uses gravel, a piece of drift wood and has three different air plants for a minimalist looking planter. My last visit to the local farmer’s market was spent wandering around an air plant vendor’s stall that had so many pretty containers. This bird cage caught my attention and I love the way it looks. It had a huge piece of drift wood to hold the tillandia plants and was about 5 feet tall! 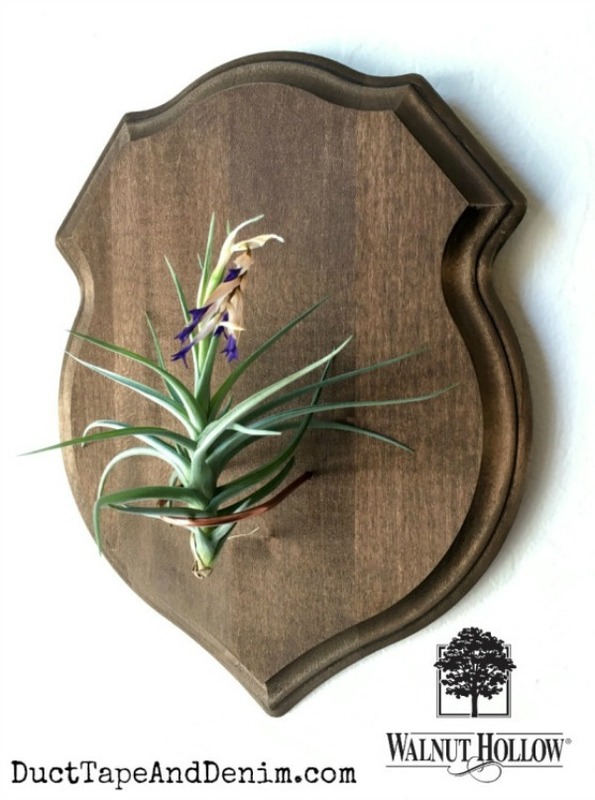 A stained wooden plaque and piece of copper tubing makes a rustic holder for this shield style air plant holder. It’s easy to make and displays the plant nicely. See the shield planter tutorial at Walnut Hollow Crafts. 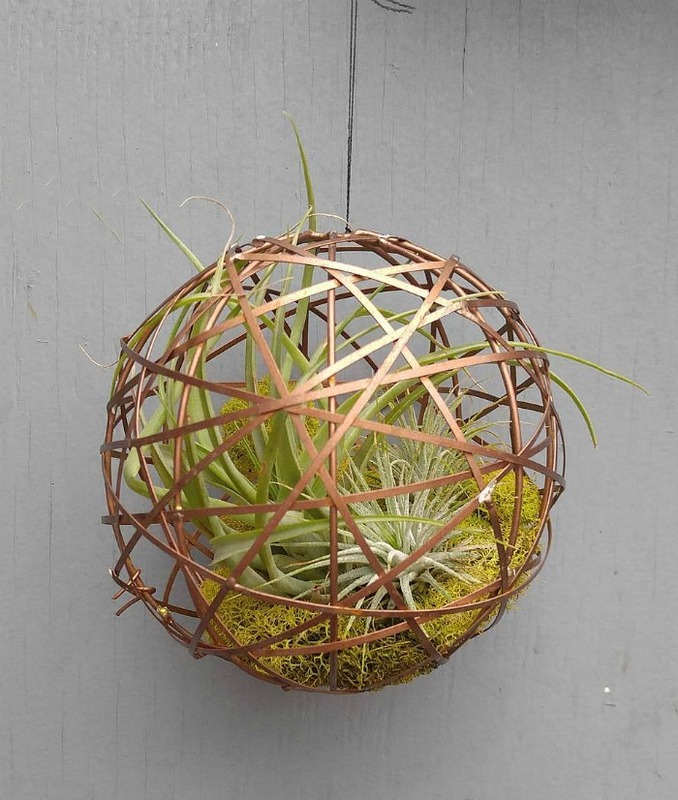 A round sphere made of flat copper wire is the perfect home for this air plant. The planter is easy to mist and looks great with the colorful moss under the collection of air plants. 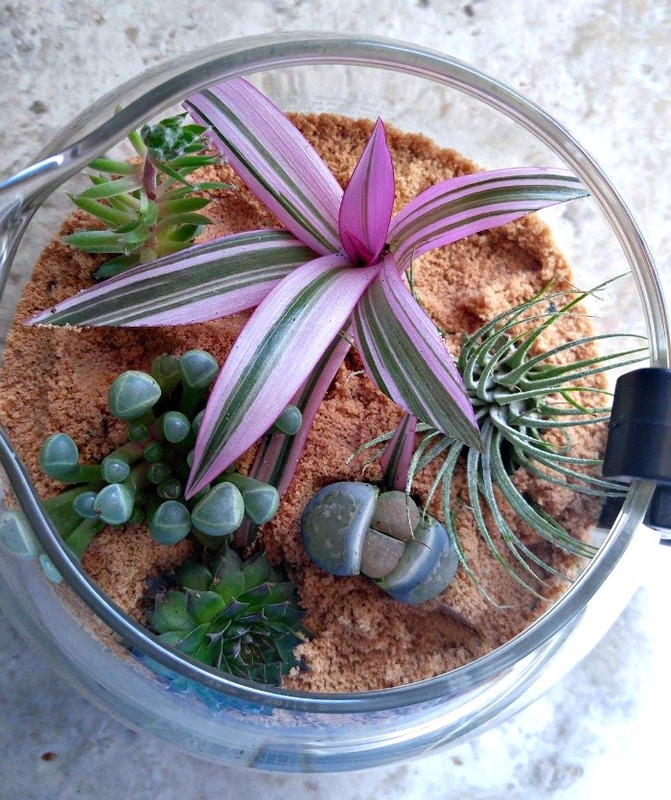 My old Mr. Coffee carafe does double duty in this fun coffee pot terrarium. I combined my air plant with other succulent plants for a pretty display that hardly ever needs watering. See the coffee pot terrarium tutorial here. A glass bottle with a front circle opening is wrapped in jute and decorated with a single wooden bead. Add some colorful moss in several shades and place the spiky air plant in the center for a fun rustic effect. This is such a cute planter. 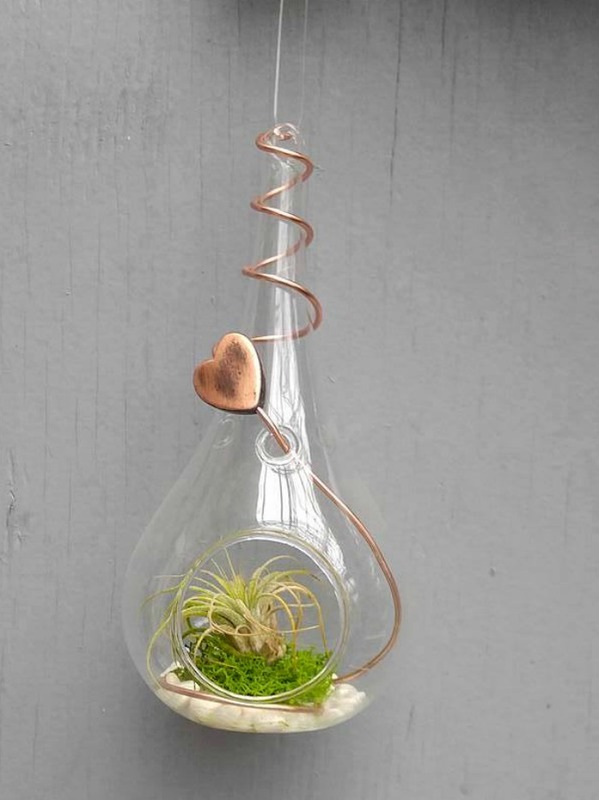 A light bulb has a side cut out of it to allow for the air plant to get added with some moss. 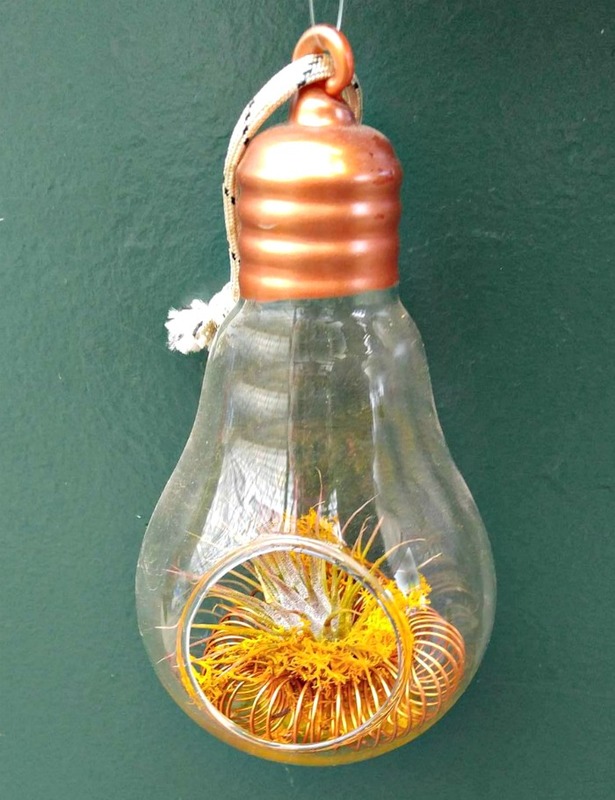 I love how the copper wire matches the color of the light bulb top. Cut, unusual and just the perfect size! This marbled loop of clay is a fun DIY project that makes a great air plant holder. It is made from polymer clay, which has been colored and then baked. 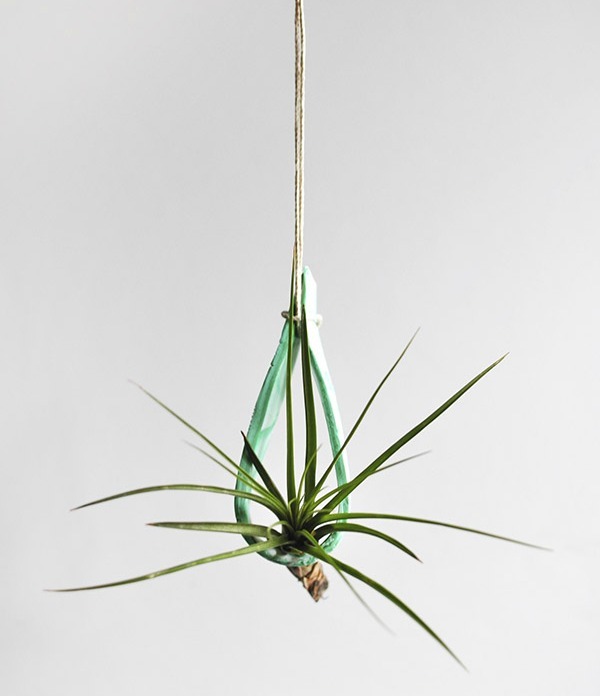 See how to make this hanging air plant holder at Delineate Your Dwelling. This adorable planter is made from a ceramic cat figure with an area on the top to sit the plant. 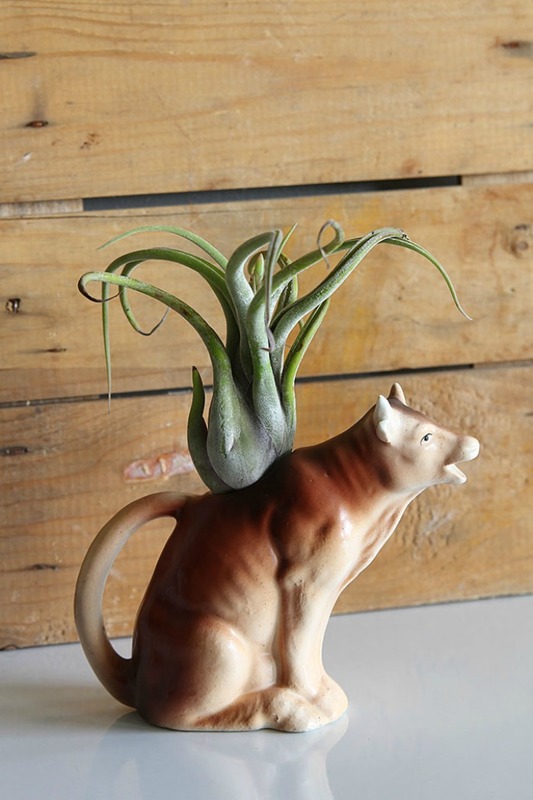 See more cute air plant holders at House of Hawthornes. 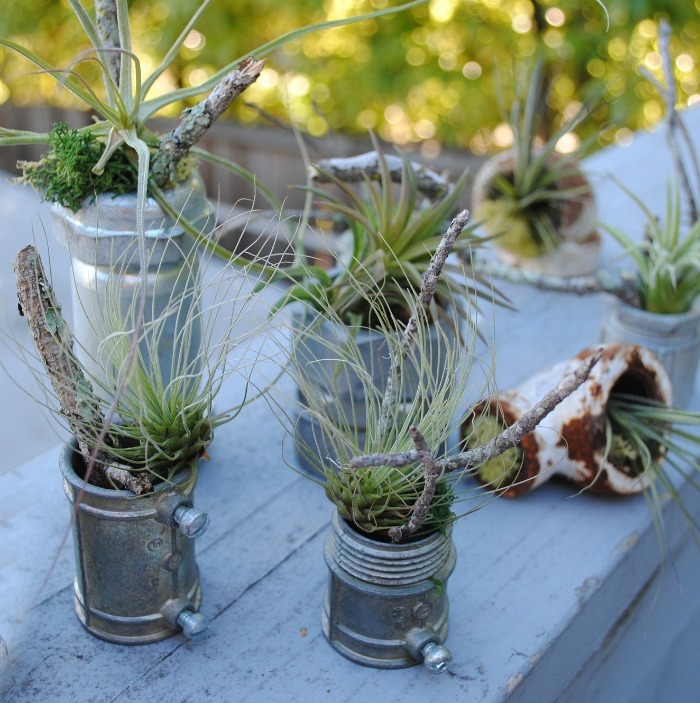 These old metal pipe fittings do double duty as air plant holders. They are rustic and so unusual. Photo credit BookFinch on Flickr. Air plants look right at home in this fairy garden made from a brandy snifter. I love the little deck chair. It makes the perfect beach scene! See the fairy garden tutorial at Pastels and Macaroons. Last by not least is this amazing planter that I recently found at Lowe’s. It is an elongated blown glass container with a front cut out and double copper wire wrapping. 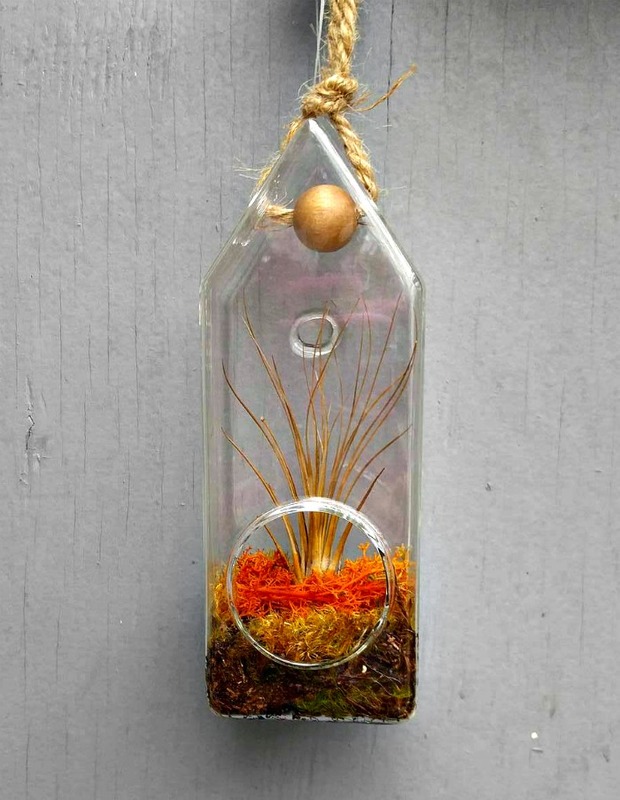 The copper flower accents the fun colors of the moss and displays the air plant beautifully. What do you use to display your air plants? I’d love to see some photos in your comments below! Very well shown and explained that anyone can understsnd and start their own projects with air plants and succulents. Well done guys. This article seems totally about the containers but gives really bad advise on air plant care. These plants thrive in a warm moist environment which is far from what we have in our homes. To thrive they should be placed in a bowl of water every two weeks or so for a few hours at the least. And then misting their leaves every few days is necessary. It is stated here that just misting the base will be OK. Air plants absorb moisture and nutrients through their leaves not their base. A specific water soluble fertilizer which is sold online will provide the plants with the nutrients they can’t get indoors. This should only be applied lightly about once every three weeks. I’m afraid folks following your advise will soon have very pretty empty plants holders.